Cooking is a new way of meditation for me. I feel so relaxed after cooking a good meal no matter how stressful my day had been. From last one year there is a sudden change in my personality. I have started enjoying cooking which a thing was never before. Earlier I used to find excuses to save myself from cooking. In fact I have become a good cook. Best dishes I can cook these days are rajma-chawal (those who know me personally they know that this is my favourite dish), shahi-paneer, stuffed paranthas, okra, potato-onion. My plan is to become an expert cook in next two years. So when you started to love cooking that’s when you think what kind of cookware to use. 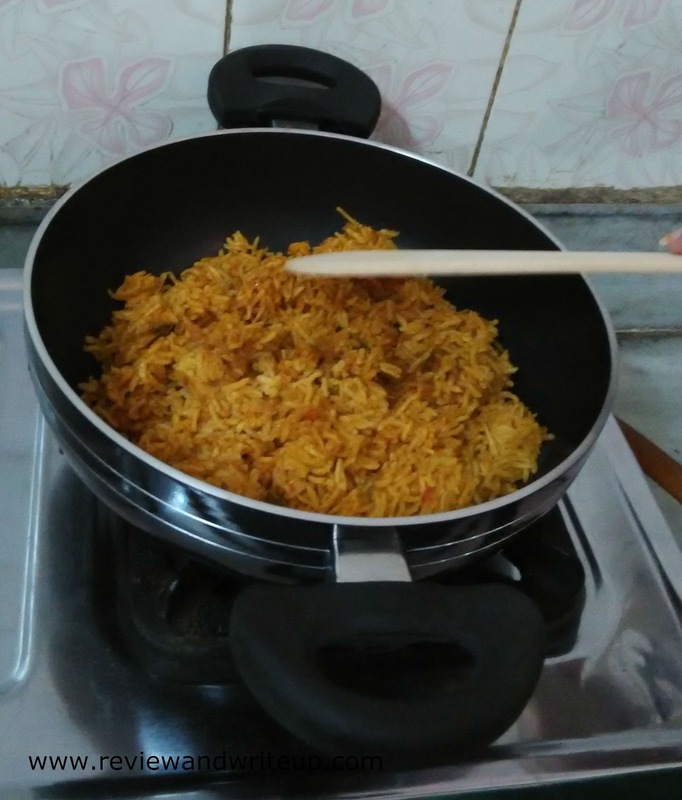 I am working and health conscious so I prefer cookware which not only helps me in cooking tasty food quickly but also less oil in it. 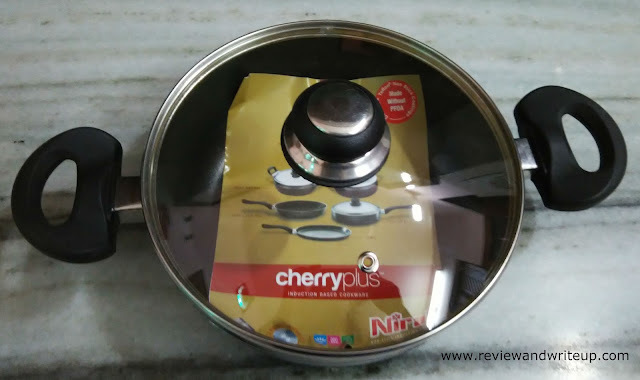 My new cooking story began when I bought Nirali Cookware. I got Nirali Splendour Concave Tawa and Splendour Deep Kadhai. About Nirali – The esteemed organization brought non-stick cookware in Indian market back in 1985. Company products are certified by FDA, UA and BIS India. Their products are stylish and follows latest trend. Organization is innovative and develops products which are better than the best. It comes with a wire handle which makes it very convenient to lift the tawa. Thickness is 4mm. I made “Tawa Pulao” and “Aloo Parantha” using Kadhai and Tawa. 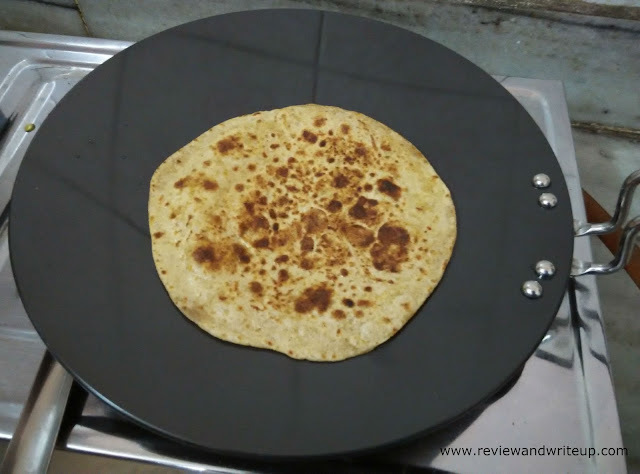 My experience – For aloo parantha biggest challenge is when you put flat bread on tawa it sticks sometimes. This was prevented and second on medium gas it cooked well. I applied almost half of the oil I use on any other Tawa and Parantha looked yummy. You can see in the pictures. The Tawa is easy to wash using a plastic scrubber which came with the package (it’s easily available in market). It has made my cooking so simple. In less time I can make paranthas that too with less oil. 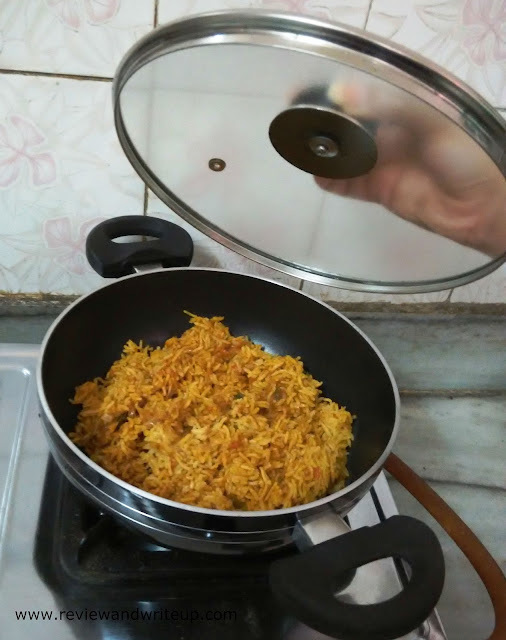 In kadhai I cooked “Tawa Pulao”. Quantity needed was for four people. 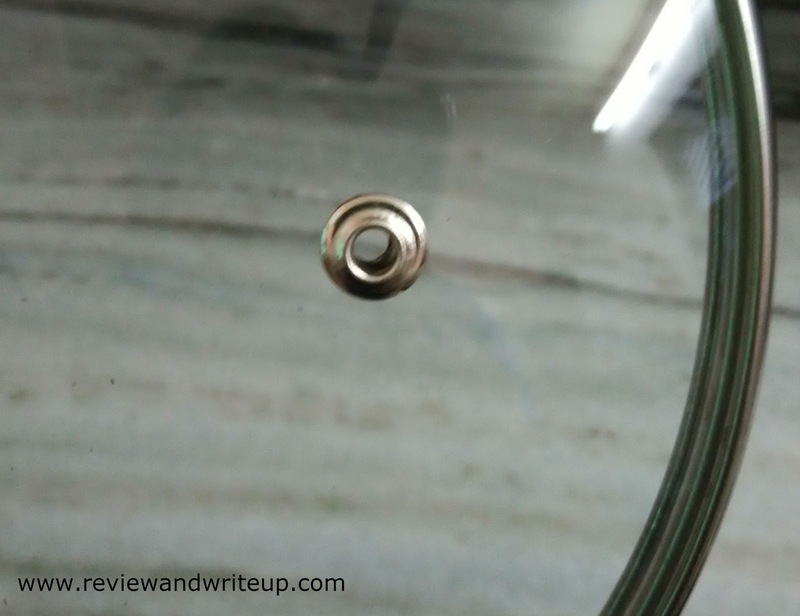 Kadhai comes with a tough glass lid with a vent in it. It makes cooking so simple that you don’t have to remove lid during cooking so that steam could escape. On slow gas I was able to cook tawa pulao in half an hour that too with less oil. You can see the pictures here. It tasted awesome. I am planning to make okra in Kadhai on regular basis. Best thing is that you cook and can serve in same kadhai due to its stylish outlook. Kadhai comes with a spatula which makes it very easy to stir or serve the food. Price – Tawa price ranges from Rs 670 to 900 depending upon size and for Kadhai Rs. 930 to Rs. 2,250. R&W Recommendation – If you are getting married get this cookware for your trousseau. These will give a stylish outlook to your kitchen as well as healthy cooking option. Nirali cookware are one of the best non-stick cookware in market. Let me know what you think about Nirali Cookware.